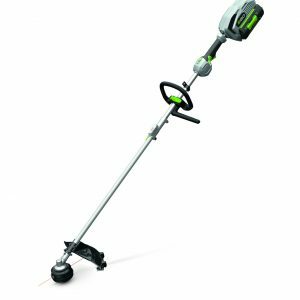 The loop line trimmer and brush cutter with variable speed, 38cm cutting swathe, bump headline feed and rapid reload head. Featuring anti-clockwise rotating direction and a brushless motor for maximum efficiency. Also supplied is a reversible three-sided metal blade, which makes short work of any overgrown area.